1775 May 10 Second Continental Congress convenes at Pennsylvania State House; reelects President Peyton Randolph and Secretary Charles Thomson. May 17 Resolves to ban exports to British colonies failing to join the Association. May 18 Receives news of the capture of Ticonderoga and Crown Point. 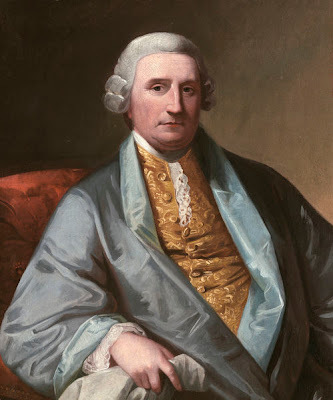 May 24 Elects John Hancock President of the Continental Congress. May 26 Resolves to send a second petition to the king and to put "these colonies . . . into a state of defense.” June 1 Resolves against an "expedition or incursion" into Canada. 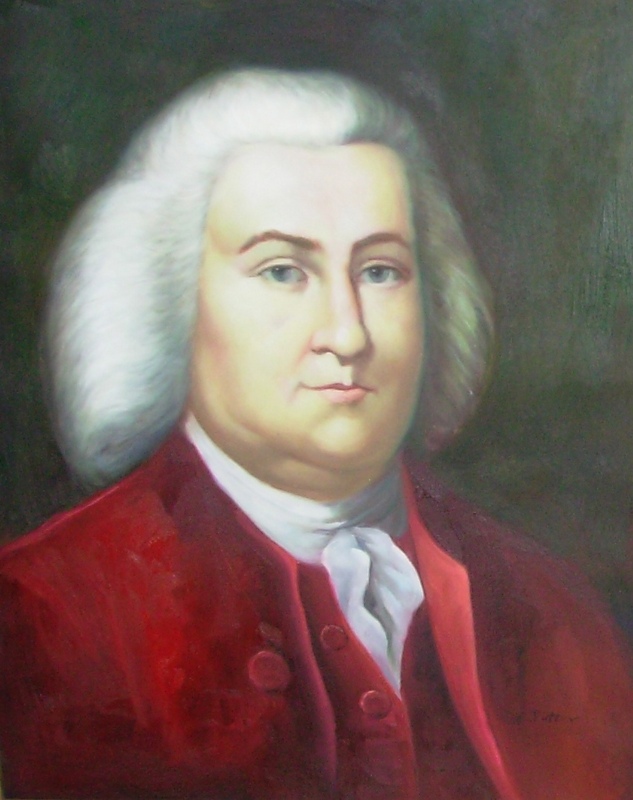 June 2 Receives Massachusetts proposal to take up civil government. June 7 Resolves to observe July 20 as a Fast Day. June 9 Endorses assumption of civil authority in Massachusetts by the provincial convention. June 10 Resolves to organize a Continental Army. June 15 Appoints George Washington commander in chief of the army. June 22 Resolves to emit $2 million in Continental currency. June 27 Approves invasion of Canada. July 5 Approves petition to the king. July 6 Approves "Declaration on Taking Arms." July 8 Approves address to inhabitants of Great Britain. July 12 Organizes three departments for Indian affairs. July 21 Ignores Benjamin Franklin's proposed Articles of Confederation. July 27 Resolves to establish a system of military hospitals. July 31 Adopts response to Lord North's Conciliatory Resolution. August 2 Adjourns to September 5. September 13 Archives quorum and reconvenes; Georgia fully represented for first time. September 19 Appoints Secret Committee to purchase military supplies abroad. September 22 Appoints committee to consider "the state of the trade of America." September 27 Orders publication of corrected journals of Congress. September 29 Appoints Committee of Conference to confer with General Washington and various New England executives. October 3 Receives Rhode Island proposal for building an American fleet. October 5 Recommends to General Washington a plan to intercept British supply ships. October 6 Recommends that provincial governments arrest persons deemed a danger to "the liberties of America." October 7 Adopts report on fortification of the Hudson River October 13 Resolves to fit out armed vessels; appoints Naval Committee. October 17 Appoints John Morgan director general of hospitals, replacing Benjamin Church upon his arrest for correspondence with the enemy; appoints committee to estimate damages inflicted by British arms. October 24 Adjourns to attend funeral of Peyton Randolph. October 26 Publishes resolution authorizing exports in exchange for arms. October 30 Increases naval authorization and expands Naval Committee. November 1 Reaffirms general embargo on exports, extended explicitly to March 1, 1776; commends provincial authorities for ignoring parliamentary trade exemptions designed to undermine American unity. November 2 Appoints Committee to the Northward to confer with General Schuyler; receives report of Committee of Conference. November 3 Recommends formation of new provincial government in New Hampshire. November 4 Adopts resolutions for reconstitution of General Washington's army in Massachusetts, and for defense of South Carolina and Georgia. November 9 Adopts new oath of secrecy; publishes report of king's refusal to receive Olive Branch Petition. November 10 Adopts plan for promoting manufacture of saltpetre; orders enlistment of first two battalions of marines. 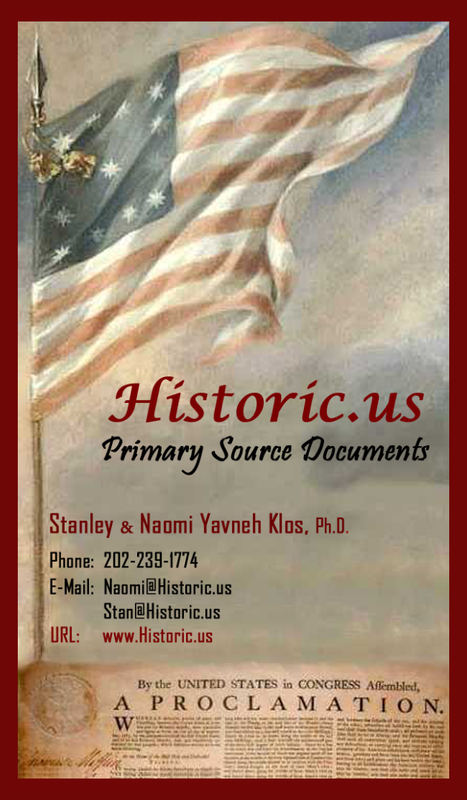 November 13 Orders publication of new "Rules and Regulations" for Continental Army. November 15 Receives account of capture of St. Johns. November 16 Adopts resolves to improve delegates' attendance in Congress. November 17 Adopts regulations pertaining to prisoners of war. November 22 Authorizes exemptions to ban on exports to Bermuda. November 23 Adopts resolves to improve peaceful relations with the Six Nations. November 25 Adopts regulations pertaining to prize cases. November 28 Adopts "Rules for the Regulation of the Navy of the United Colonies"; adopts measures for the defense of North Carolina. November 29 Appoints Committee of Secret Correspondence; resolves to emit $3,000,000 in Continental currency; receives account of capture of Montreal. December 2 Sends Benjamin Harrison to Maryland to promote defense of the Chesapeake. December 4 Recommends formation of new provincial government in Virginia; appoints committee to dissuade New Jersey Assembly from separately petitioning king. December 6 Publishes response to king's August 23 proclamation declaring colonies in state of rebellion. December 8 Resolves to confine John Connolly for plotting with Lord Dunmore against western Virginia. December 13 Authorizes construction of 13 ships for Continental Navy. December 14 Appoints Marine Committee. December 15 Receives plan for creation of committee to sit during recess of Congress. December 20 Recommends cessation of hostilities between Connecticut and Pennsylvania settlers in Wyoming Valley. December 22 Authorizes an attack on Boston; appoints Esek Hopkins commander in chief of Continental Navy. December 26 Adopts plan for redemption of Continental bills of credit. December 29 Adopts resolutions for importing and manufacturing salt. December 30 Recommends Secret Committee negotiations with Pierre Penet and Emanuel de Pliarne for European arms and ammunition. 1776 - January 1 Recommends "the reduction of St. Augustine." January 3 Recommends a quarantine of Queens County, N.Y., for refusal to send deputies to the New York Convention. January 6 Adopts regulations for the division of marine prizes. January 8 Orders reinforcements to Canada; receives news of the king's speech from the throne (October 27, 1775) and of the destruction of Norfolk, Va. January 11 Resolves that any person refusing to accept Continental currency "shall be. . . treated as an enemy of his country. " January 16 Limits black recruitment to the reenlistment of "free negroes who have served faithfully in the army at Cambridge. " January 17 Receives news of General Montgomery's defeat at Quebec; appoints a committee to prepare regulations for opening American ports on March 1, 1776. January 19 Orders additional reinforcements to Canada in response to General Montgomery's defeat. January 24 Orders publication of a public statement on the repulse at Quebec and of a new "Letter to the Inhabitants of the Province of Canada." January 25 Orders preparation of a monument and delivery of a funeral oration in tribute to the memory of General Montgomery. January 26 Appoints a committee "to repair to New York, to consult and advise ... respecting the immediate defence of the said city." January 27 Directs the Secret Committee to import goods for use of the commissioners of Indian affairs "in order to preserve the friendship and confidence of the Indians." January 31 Forbids enlistment of prisoners of war. February 5 Recommends that additional efforts be made to instruct and convert the Indians. February 13 Exempts inter-colonial trade in naval stores from general trade restrictions; tables draft "address to the inhabitants of these Colonies." February 15 Appoints a committee to proceed to Canada to promote support for the American cause. February 17 Appoints the Treasury Committee; resolves to emit additional $4 million; appoints Gen. Charles Lee to the Canadian command. February 23 Appoints committees to promote the manufacture of firearms and the production of salt petre, sulphur, and powder. February 26 Prohibits sailing of vessels loaded for Great Britain, Ireland, or the British West Indies. February 27 Establishes separate military departments for the middle and southern colonies. February 29 Receives General Washington's letter on Lord Drummond's peace mission. March 1 Appoints Gen. Charles Lee to command of the southern department. March 2 Committee of Secret Correspondence appoints Silas Deane agent to France to transact business "commercial and political." March 4 Removes the sailing ban on vessels loaded for Great Britain, Ireland, or the British West Indies and desiring to import arms and ammunition. March 6 Appoints Gen. John Thomas to the Canadian command. March 9 Appoints a committee to study the "state of the colonies in the southern department"; denies military officers authority to impose test oaths. March 14 Adopts resolves on defending New York and disarming the "notoriously disaffected" in all the colonies. March 16 Declares May 17 "a day of humiliation, fasting, and prayer. " March 20 Adopts instructions for the commissioners appointed to go to Canada. March 23 Adopts a declaration and resolutions on privateering, subjecting British ships to seizure as lawful prizes. March 25 Adopts a report on augmenting the defenses of the southern department. March 27 Attends the funeral of Samuel Ward. April 1 Establishes the Treasury Office. April 2 Commends General Washington and his troops for conducting the successful siege and forcing the evacuation of Boston. April 3 Adopts "Instructions" for privateers. April 6 Opens the trade of the colonies "to any parts of the world which are not under the dominion of the [King of Great Britain]"; prohibits the importation of slaves. April 11 Delivers a speech to Captain White Eyes of the Delaware Indians. April 15 Urges cultivation of harmony between the Connecticut and Pennsylvania settlers in the Wyoming Valley. April 16 Requests the Maryland Council of Safety to arrest Gov.William Eden. April 23 Appoints Continental "agents for prizes in the several colonies"; instructs the commissioners to Canada "to publish an Address to the people of Canada." April 29 Instructs a committee "to prepare a plan of an expedition against Fort Detroit." April 30 Appoints the Indian Affairs Committee. May 6 Postpones prescribing procedures for receiving peace commissioners rumored to be en route to America; re solves to raise $10 million "for the purpose of carrying on the war for the current year" and appoints a "ways and means" committee. May 9 Resolves to emit an additional $5 million. 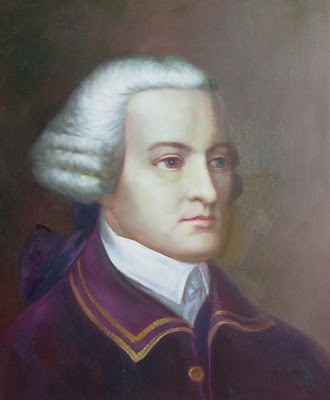 May 10 Recommends that the colonies "adopt such government as shall, in the opinion of the representatives of the people, best conduce to the happiness and safety of their constituents." May 15 Adopts a preamble to its May 10 resolution on establishing new governments, asserting the necessity of suppressing "the exercise of every kind of authority" under the British crown. May 16 Requests General Washington's presence in Philadelphia to consult on forthcoming campaign. May 17 Adjourns to observe Fast Day. May 21 Receives news of George III's negotiations for nearly 17,000 German mercenaries to be sent to America. May 22 Adopts measures to bolster American forces in Canada; resolves to emit additional $5 million in bills of credit. May 24 Begins consultations with Generals Washington, Gates, and Mifflin on forthcoming campaign. May 25 Resolves "that it is highly expedient to engage the Indians in the service of the United Colonies." May 27 Holds audience with deputies of the Six Nations; receives instructions directed to the North Carolina and Virginia delegates pertaining to independence. June 1 Requests 6,000 militia reinforcements for Canada. June 3 Requests nearly 24,000 militia reinforcements for General Washington at New York. June 7 Receives Richard Henry Lee's resolution respecting independence, foreign alliances, and confederation. June 10 Postpones debate on independence resolution; appoints committee to prepare a declaration of independence. June 11 Receives Indian delegation; receives report from commissioners to Canada. June 12 Appoints committees to prepare "the form of a confederation" and "a plan of treaties to be proposed to foreign powers"; creates Board of War and Ordnance. June 14 Recommends "detecting, restraining, and punishing disaffected and dangerous persons" in New York; embargoes salt beef and pork. June 17 Adopts general reform of the forces in Canada. June 19 Recommends seizure and confinement of Gov. 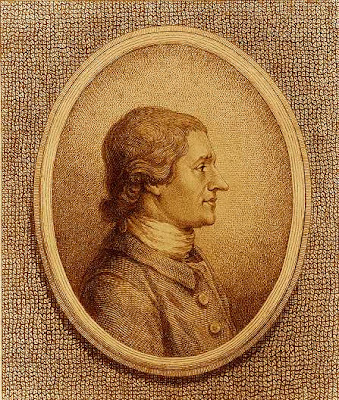 William Franklin. June 21 Orders inquiry into the causes of miscarriages in Canada. June 24 Adopts resolves on allegiance and treason and recommends legislation for punishing counterfeiters in the several colonies; suspends enlistment of Mohegan and Stockbridge Indians. June 26 Adopts bounty for three-year enlistments. June 28 Reads draft declaration of independence. July 1 Debates the Resolution of Independence, Resolved, That a Brigadier General, acting in a separate department, be allowed an aid de camp.